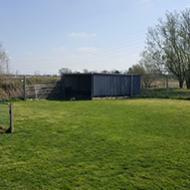 Our Dog Daycare Centre is based in Wishaw, West Midlands, near to Curdworth Village. Perfectly situated for access to the M42 and Motorway network. It is also conveniently situated for access to Birmingham, Sutton Coldfield and surrounding areas. Please browse our website and click enquire now to book or find out more. We're proud to show off our team at Look After Your Dog, with many years experience and so much passion and care to give to each and every dog. We love people to visit us so you can see the centre in action.When you do, you'll see why we're proud to show off our facilities. Your dog will spend their days socialising with friends at day care in our big grounds. We want to make sure your dog is having the best time and feels welcomed. 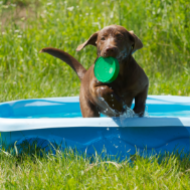 Our brand new Day Care Facility has so much to offer your dog, from agility & swimming pools to balls and tuggy toys. 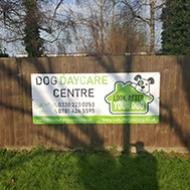 Lookafteryourdog Daycare Centre is conveniently located in Wishaw, between Sutton Coldfield and Curdworth. The Centre is perfect for access to the M42 Motorway network, Birmingham City Centre, or Sutton Coldfield and surrounding areas. 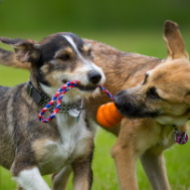 With our full day, half day, or two hour drop and shop service, you can drop your dog for safe, supervised play with other calm and well adjusted dogs. All of the dogs have been assessed for character and temperament. 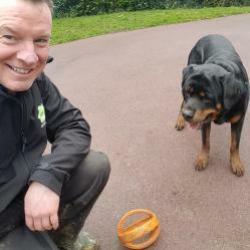 The dogs have access to our large fenced play area under the watchful gaze of Steve and the team, who will ensure that all the dogs are happy and stress free whilst at the centre. 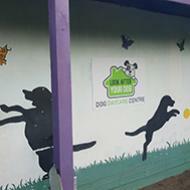 For rainy days, the dogs can play indoors in our centre with light and airy rooms with windows for ventilation and heating for comfort. Enquire now for a no obligation chat with Steve. Hi, I have over 30 years experience, owning, caring for and training dogs. I served 30 years in West Midlands Police and was lucky enough to have served as a Police Dog Handler, working my Fantastic German Shepherd Dog Max on the streets of the West Midlands, taking part in Police Dog Trials culminating in qualifying for the Regional Police Dog Trials in Nottingham and the National Police Dog Trials in Dorset. I also competed in Civilian Dog Trials to a high standard and thoroughly enjoyed the experience. I also worked a Springer Spaniel Bomb Detection Dog called Bracken, which allowed me to experience a completely different style of dog handling. When I had to leave the Dog Section, I then ran on a number of Puppies for the Police, including German Shepherd Dogs and Springer Spaniels. Just prior to finishing my Police Service, I set up Lookafteryourdog Home Dog Boarding Service and looked after over 200 dogs at my home, whilst the owners went away. Looking after the dogs has given me a wide breadth of knowledge of many different breeds and personalities of dogs. Finally all of this experience culminated in me jumping at the opportunity to take over the running of the Ninestones Doggy Daycare Centre when the previous occupant decided to move on. 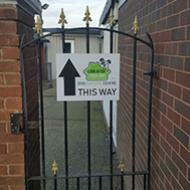 Re-branded and refurbished, the centre now offers first class accommodation to our customers fabulous dogs. Please call me to discuss and see what we have to offer. Call us on 0330 223 0253 or call or text on 07814 245595..